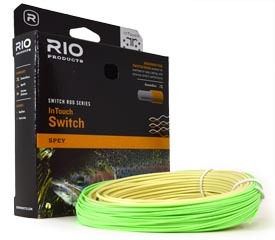 Colour: Beige/Pale green Length: 100 ft.
Colour: Green/Gray Length: 100 ft.
RIO's Switch line is designed for a multitude of applications for anglers using Switch rods. The long head and thick diameter tip turns over big flies and indicator rigs while allowing anglers to throw mends and control the fly's drift at great distance. 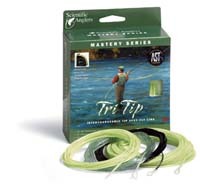 The front taper and weight distribution form tight loops with minimum of effort, also enabling anglers to cast streamers and sinking VersiLeaders. 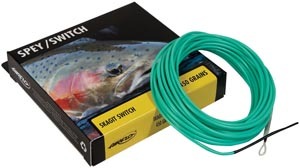 The perfect all round line for Switch rods. 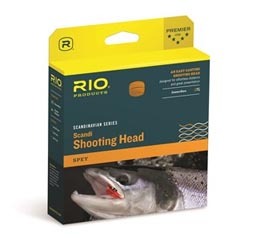 RIO's Scandi Short head is a very easy casting Scandi style shooting head, built on RIO's ultra-low stretch ConnectCore for the utmost in casting control and sensitivity. 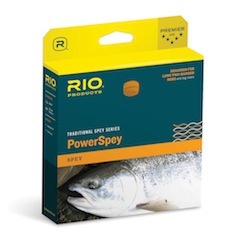 The "Short" nature of this head makes it ideal for Spey rods and Switch rods less than 12' 6" in length, and also for fishing in the tightest of situations. "Scandi" style heads feature long, fine front tapers that unroll with ease, remain stable and smooth throughout the casting stroke and are very easy, and pleasant to cast. 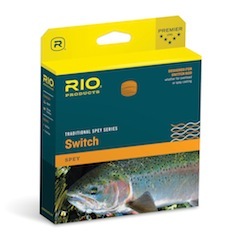 Scandi heads are the best line option in tight casting situations and a particularly good choice on smaller rivers, and for novice to average casting skills - particularly when smaller and unweighted flies are used. 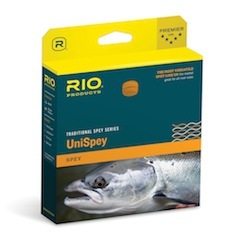 RIO's UniSpey has a powerful mid length head that is the most versatile of spey line designs, and that will cast long distances with ease. 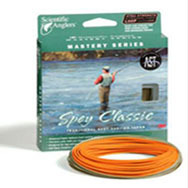 This UniSpey model is a floating line with integrated running line. Colour: Lt. Grey Length: 120 ft.
RIO's GripShooter is based on the very popular SlickShooter, but has a thick, coated handling section that makes it very easy to grip in cold conditions. 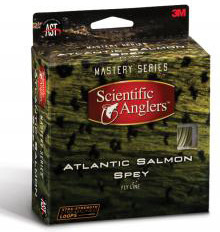 The thin nylon shooting line gives caster's the maximum distance and is light enough to hold off the water at range and allow anglers great control of their head and fly far out in the swing. A neat 8" welded loop at the front end allows for fast and efficient head changes. The line features RIO's XS Technology™ for an extraordinarily slick, dirt-repelling coating. 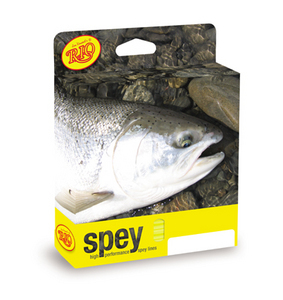 It has an easy loading head between 45 ft (13.7 m) – 56 ft (17.1 m) (depending on the size) and is the most versatile of all spey lines. The WindCutter II is available in two formats: 1) a full floating line with a welded loop at the front end for attaching RIO's VersiLeaders to, or 2) a VersiTip line with a body and a selection of 15 ft (4,6 m) tips. These tips are: floating, clear intermediate (1.5 ips, 4 cm/s), DC Type 3 (3 ips, 8 cm/s), DC Type 6 (6 ips, 15 cm/s) and DC Type 8 (8 ips, 20 cm/s) sinking tip and each tip features RIO's thin, non-hinging welded loops. The WWF 5/6 does not include a Type 8 tip. The 4/5 is only available as a floating line. RIO has improved the VersiTip version for 2009 by removing the middle floating tip (Tip 2) that has been a standard in the past. Working with Tom Larimer, Airflo has developed the Rage Compact which casts like the Skagit Compact, but fishes as a straight floater. This new addition to the Skagit family keeps you in the "Floating" game under extremely windy and tight quarter casting situations. Its aggressive front taper gives ultimate power for driving casts into the strongest winds, the rear taper helps load quickly, giving you incredible control in tight casting conditions. The front loop has the line size printed on it for easy recognition. Designed to perform with modern shorter rods or where back cast room limits your "D" Loop. Whether it's steep banks or the tough winds ripping up the canyon, Scandi Compact helps anglers of any skill level cast like a pro in no time. Designed to load fast action switch rods in tight casting situation, move 10' to 12' of sink tip, and reach out to hit the 'zone'. Looped at both ends for ease of use, the front loop has the line size clearly marked for easy identification. The mint green color keeps the line visible and controllable at any distance. 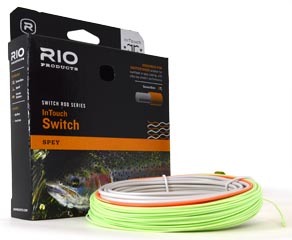 Couple this with either a 20lb or 30lb Ridged Running line and you have the pinnacle in switchmatch for your favourite rod. So, just add a sink tip and your good to go. The Skagit Switch line has rapidly gained a 'cult' following with single hand rod Spey casters. 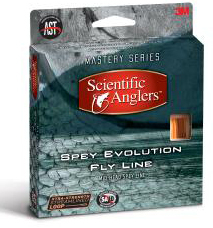 A longer, more traditional bellied line that exudes smooth casting strokes and graceful length casts. The Delta Spey II is a superbly balanced line across the full range of sizes and this new dual coloured line benefits from a slightly stiffer running line that improves shootability. 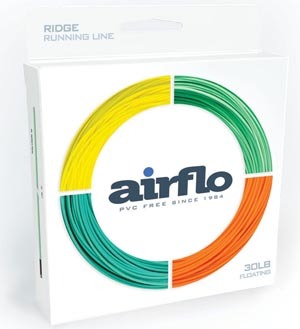 The perfect compliment to any shooting head, Ridge technology comes to the fore on Airflo's running lines. Reduced surface friction not only increases distance, but also helps reduce tangles - loose coils of line slide over each other easily to eliminate snarl ups. 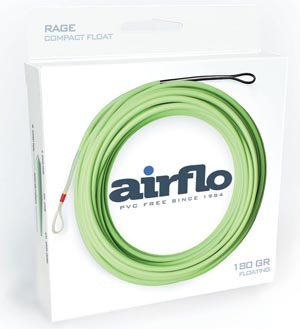 A low stretch Power Core and an oversized "Flexi Loop" complete what is Airflo's #1 selling running line. 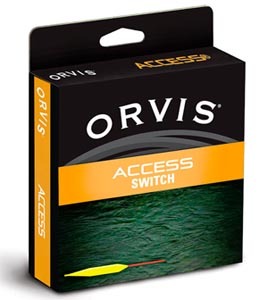 Specifically designed and perfectly balanced for use with Orvis Access Switch rods, this versatile switch fly line allows casters to perform traditional overhand, double-hand, and a variety of Spey casts. Built around an Orvis-exclusive taper, a 34' head with moderate-length front taper combine with a compact back taper to maximize performance. A color change running the entire length of the back taper helps casters determine the sweet spot for optimal casts. 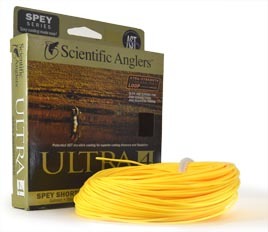 Bright yellow head with easy-tracking red back taper and running line. Overall length is 125'. Available in WF8F (420 grains). 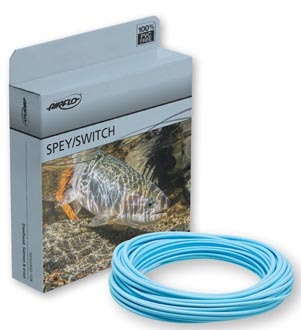 Light Blue Length: 131 ft.
Colour: Sunset Orange Length: 131 ft.
Colour: Orange / Dark Willow Length: 130 ft.
Spey line with floating, intermediate & fast sink heads in a zippered wallet. Colour: Green Length: 120 ft.
Colour: Sunrise Yellow Length: 120 ft.